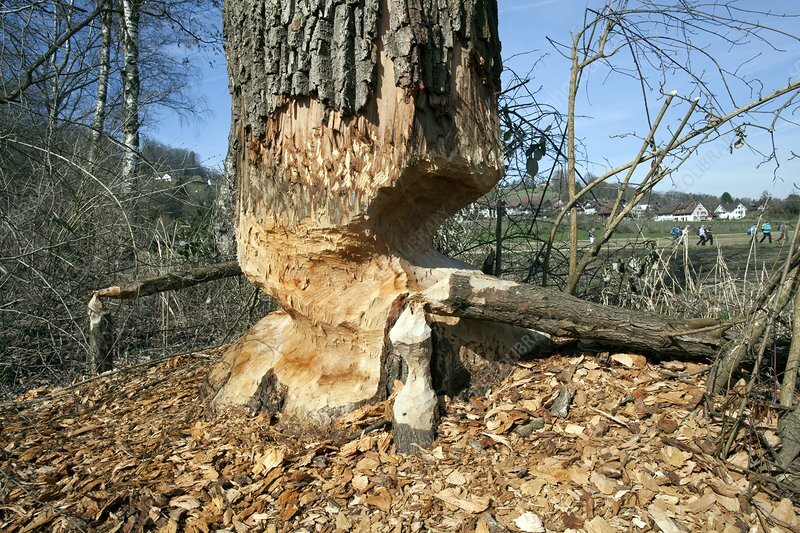 Beavers are in the process of felling a large willow tree and smaller ones near the banks of the river Rhine close to the village of Rudlingen, canton Schaffhausen, Switzerland. After felling the beavers will eat bark from the tree trunk. Beavers are a protected species in Switzerland.